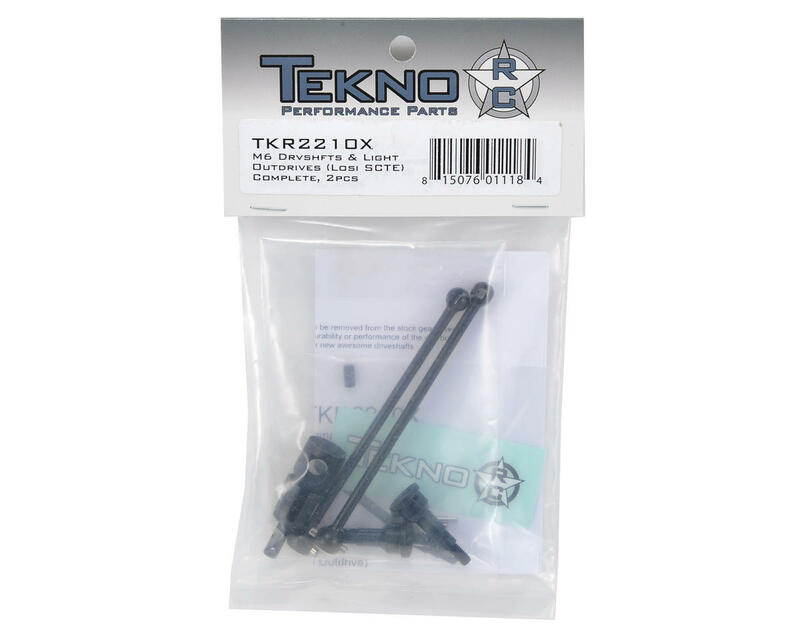 This is an optional Tekno RC M6 Driveshaft & Lightened Outdrive Set, and is intended for use with the Losi TEN-SCTE. 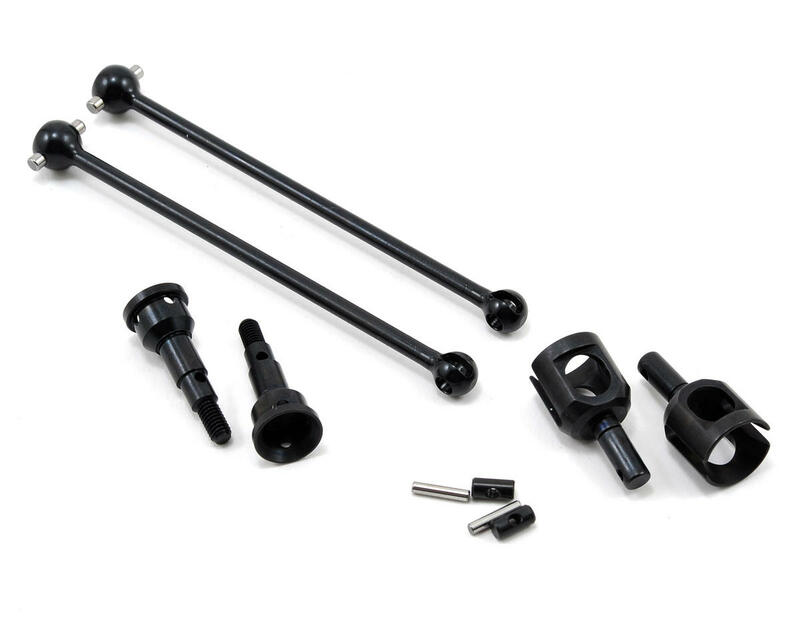 Add another hit to Tekno RC's growing list of performance upgraded driveshafts with the most efficient and durable driveshafts available for the Losi TEN series. They started with the 'Big Ball' shafts that feature a larger size ball on the end to provide smoother suspension action and prevent the axle from hitting the outdrives on full compression. This required a fresh outdrive design as well, and they are hardened for durability and ultra light for the best acceleration. Tekno didn't stop there...they designed stub axles too! These stub axles allow for more steering angle while being smoother and more efficient than the stock units at any angle. This means they won't bind at full steering lock! They are made from the same material as Tekno's other driveshafts, meaning they will last far longer than the stock units. Stronger than stock driveshafts. They will last longer and require less maintenance. Increased steering angle, smoother steering response. NOTE: These driveshafts are not compatible with the stock driveshaft parts (i.e. you can't use Tekno shafts with the stock outdrives, etc). Light, guaranteed lifetime warranty, no potential for lost pins, perfect construction. One of the absolute best upgrades. Nice product, beefy design, however the right rear outdrive has a substantial groove worn in it after less than 2 hrs. run time.Will be contacting Tekno to see about a replacement under warranty, so we'll see how that goes. Better and much less slop than the stock driveshafts tho. These things are awful. First of all, the outdrives are so big they rub on the rear diff inserts. Secondly... the outdrives lasted 6 race days before they were deep gouged and no good. The axle shafts are fine. The outdrives are not. Get the MIP Roller Pucks instead.... very very good axles.